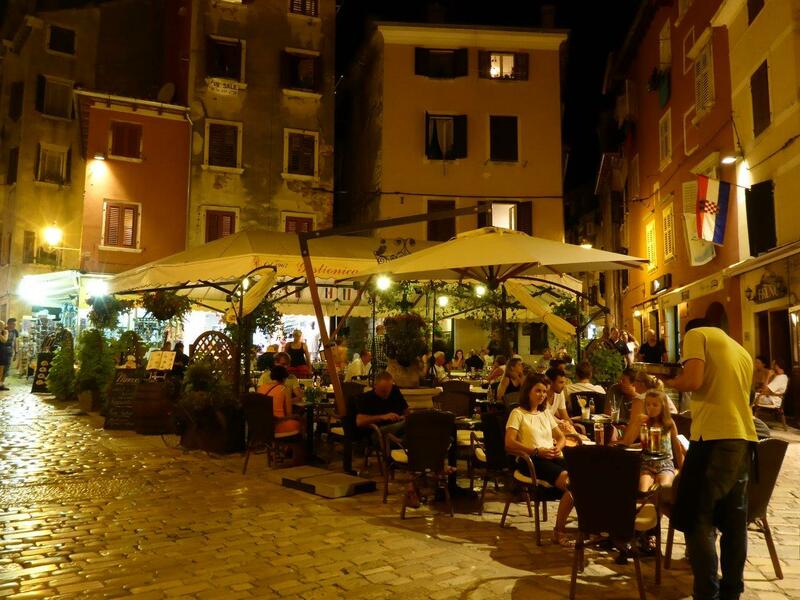 Rovinj is a beautiful pearl at the Croatian part of the Istrian coast, with the picturesque old town built on the peninsula. Even though it is a quite touristy place, it does not feel too crowded. 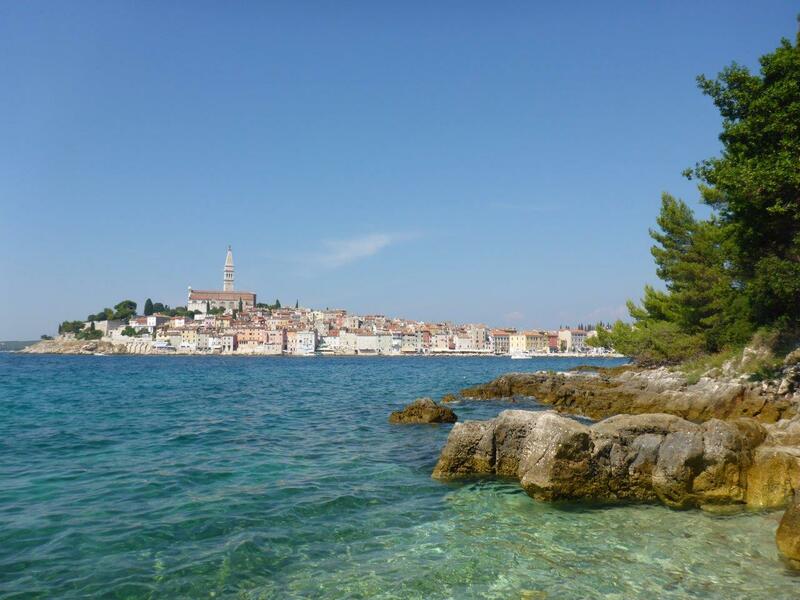 For me, coast means swimming, so visiting one of the islands just outside Rovinj was a must. 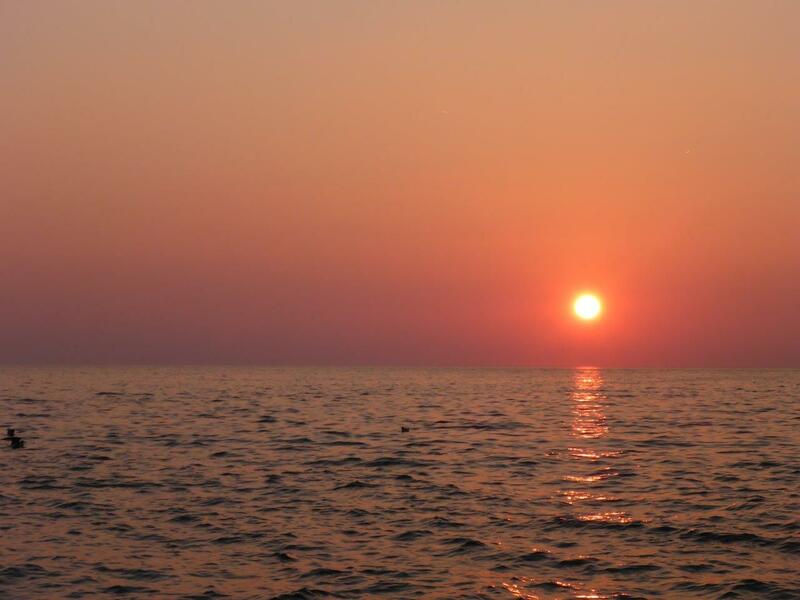 The boat to the Island of St. Andrew, also referred to as “Red Island”, leaves the mainland half passed every hour. Red island is actually two islands connected in front of the giant Hotel Istra. That area is quite crowded, with deck chairs scattered around. Needless to say that was not my preferred spot… However, there are walking paths all across the two islands, so if you want to escape the crowds (like I would), find a path to the sea and jump in from the rocks there. 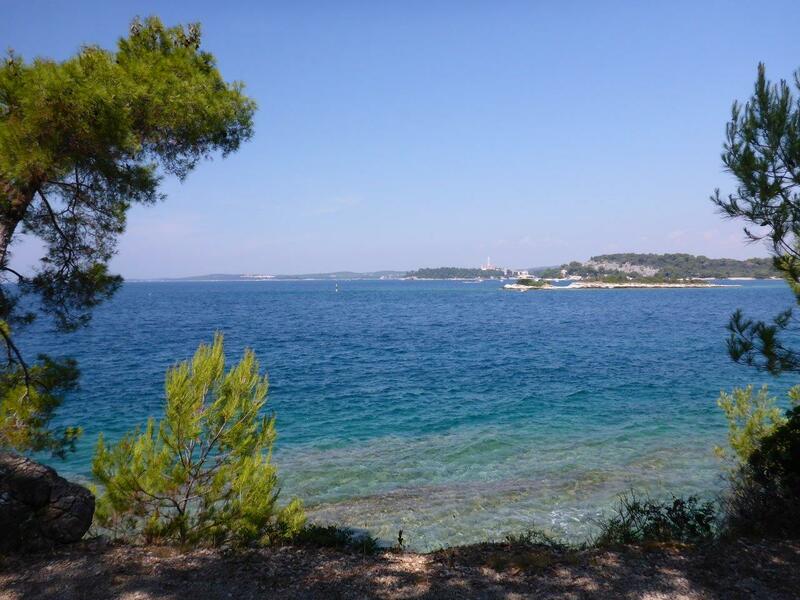 One of the more private spots to swim at Red Island outside Rovinj. We decided to do some island hopping and check out St. Katarina as well. Sadly, there is no boat connecting the two islands, so we had to get back to the mainland first. 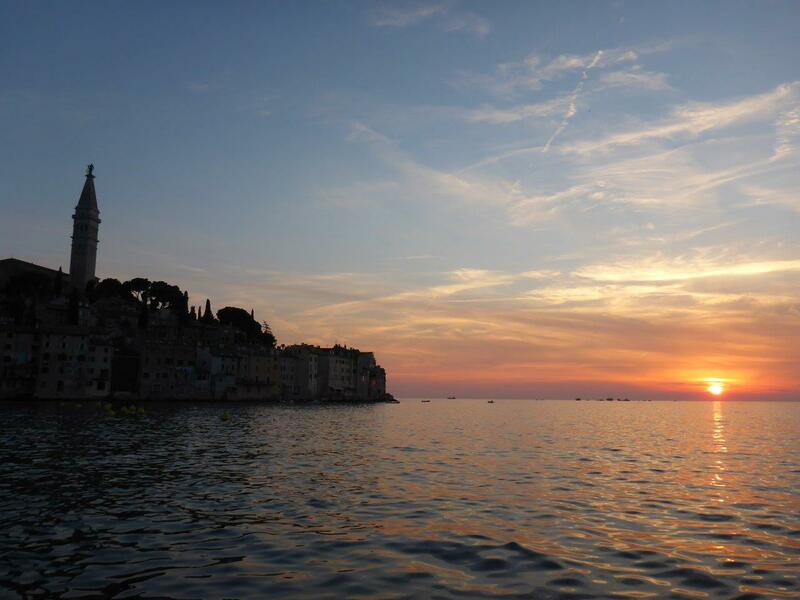 The fantastic view of Rovinj seen from the island of St. Katarina. Whatever you do, do not, I repeat; DO NOT! miss the chance to go to St. Katarina. 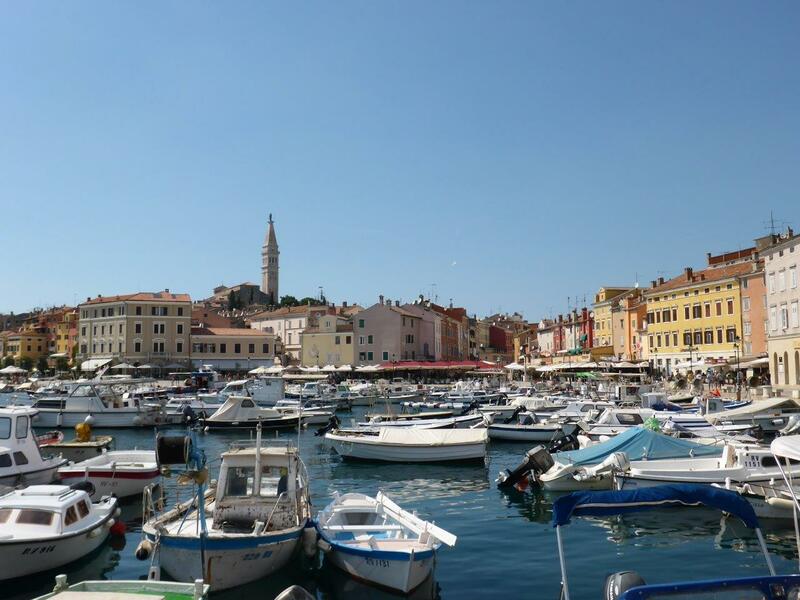 The view to the old town of Rovinj is stunning and worth the trip just for that!! 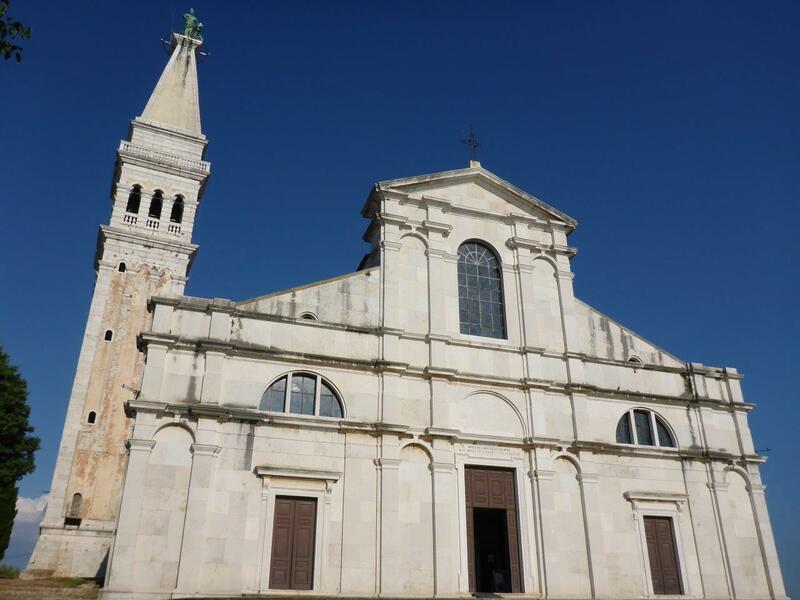 Another must, at least for a view lover like me, is to walk the stairs to the tower of Saint Euphemia Cathedral. Panorama view from Saint Euphemia Cathedral. I just love the way the small cozy bars in the old town use whatever space they have available. Take Limbo for example. A tiny cafe bar at the bottom of some stairs, using each level for small tables along the wall. If you are more than two people, some of you have to sit directly at the stairs. But that is a part of the charm. Inside there are just a few wooden tables, with sketches and paintings covering the walls completely. Outside however, the scenery is the backyard of the locals, with multicolored clothes hanging on strings between the pale brick buildings with flowers pots hanging from the windows, spicing up the facade. The most run-down house, but for me the most charming, has ivy climbing up along the corner, partly resting on the old-fashioned wrought iron street light, before it decided to continue towards the ceiling. The charming Limbo cafe bar. I must admit; I did not give the old town much of a chance to prove itself in the beginning. The first time I entered from the street right behind the market, just walking along the seaside. It was during the hottest period of the day, so exploring the back alleys did not at all seem tempting then. 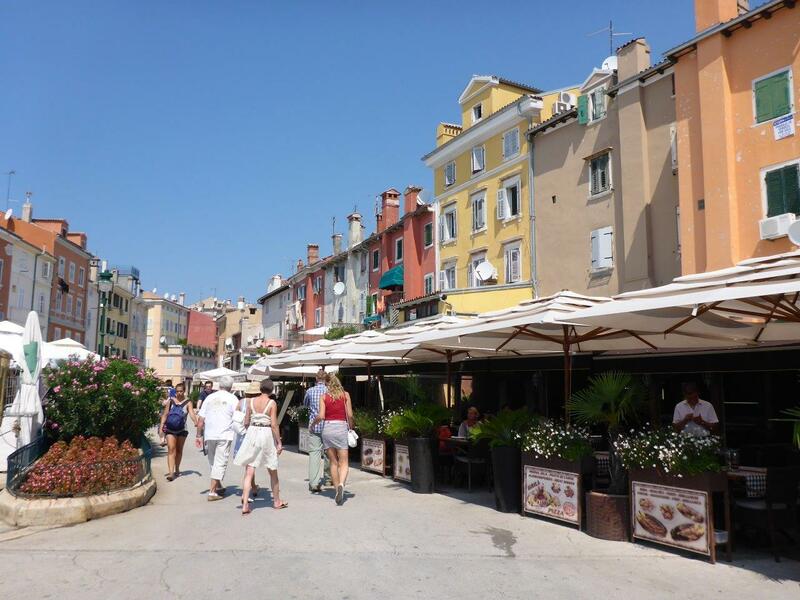 The second time I entered the same way, but working my way up to Saint Euphemia Cathedral. Walking down again, I picked the main street instead of the smaller ones that I usually would. It was filled with shops, apparently with handcraft. For me, most of them were quite touristy with a few exceptions. 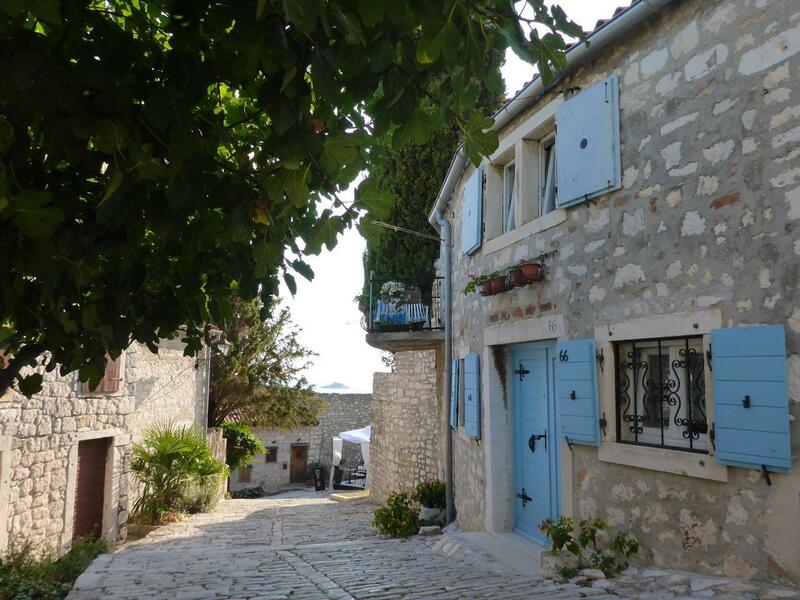 The lovely smell of lavender filled the air around me, but I still felt the urge for walking fast down the cobbled streets. So I did. 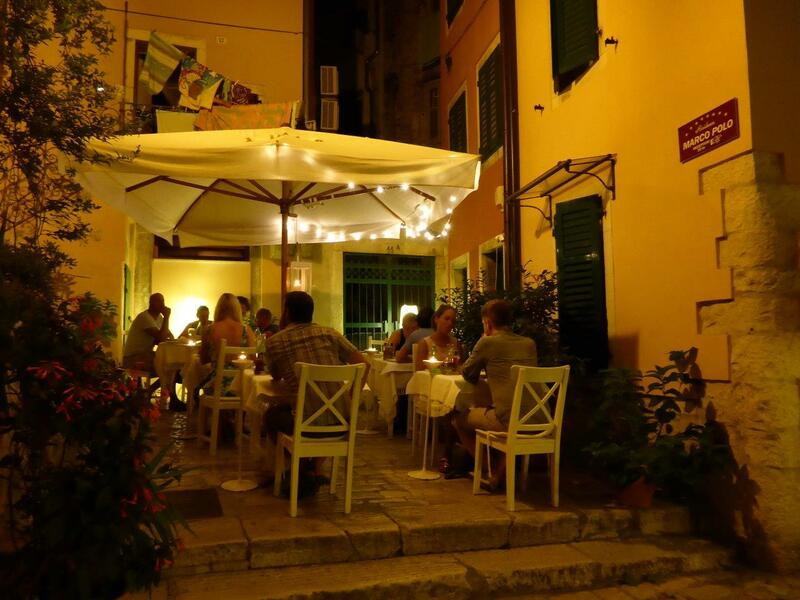 Our last night in Rovinj I decided to give it another try. I insisted on checking out the old town by night. I discovered there were several really cozy places, both for food and drinks. How could I have been so wrong? The answer is simple; I just failed looking. My best tip is usually to explore the back streets, but for some strange reason I did not this time. Not until now. Maybe it was the heat that made me rush it. It must have been. But at least that made me find Mediterraneo Bar. This “secret escape” sure lives up to its name. Well, maybe not secret as I spotted it the moment I passed, but certainly an escape! After walking the outer coastline of the old town in the sizzling heat, it was perfect entering through the hole, getting all the way down to the sea. 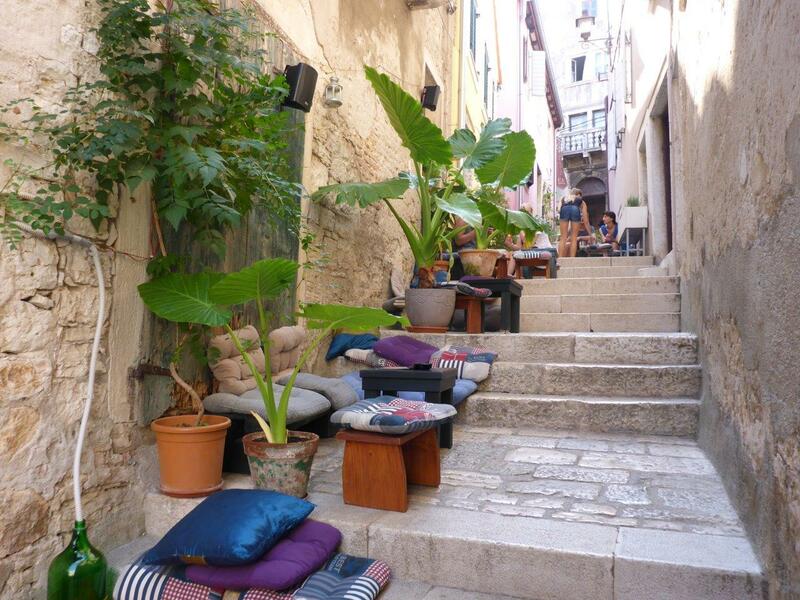 Sitting either on the stone benches with colorful pillows along the wall, the old iron chairs, or on the fluffy pillow directly at the stones, gives a perfect easygoing vibe. Old low stools serves as tables, or even chairs if needed. The sea is making the calming waving sound, and seagulls fly by. Maybe I instantly loved that place so much I forgot to look for others? Right then and there it felt like the right thing. As it did the time I went back there as well. 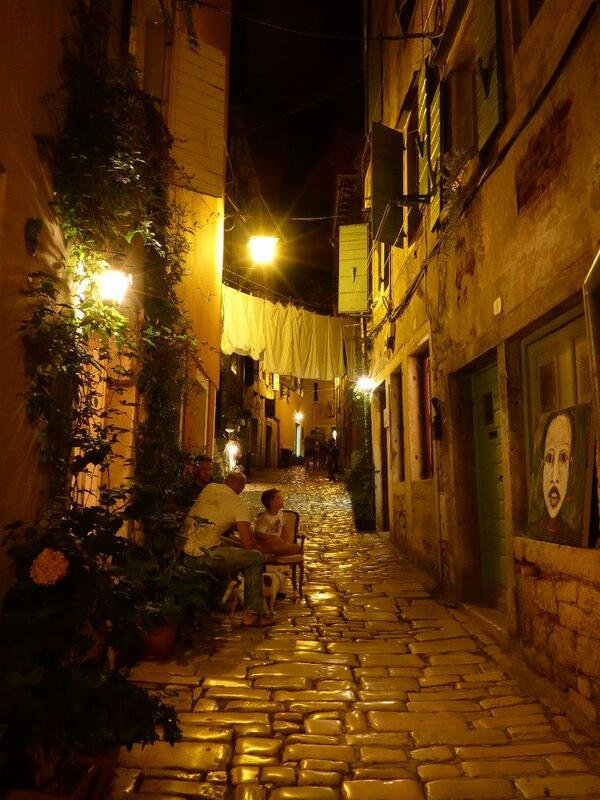 But after walking around the back alleys the last night, I realized it was a mistake. Don’t get me wrong, Mediterraneo Bar is a fantastic place, but the combination makes it perfect! 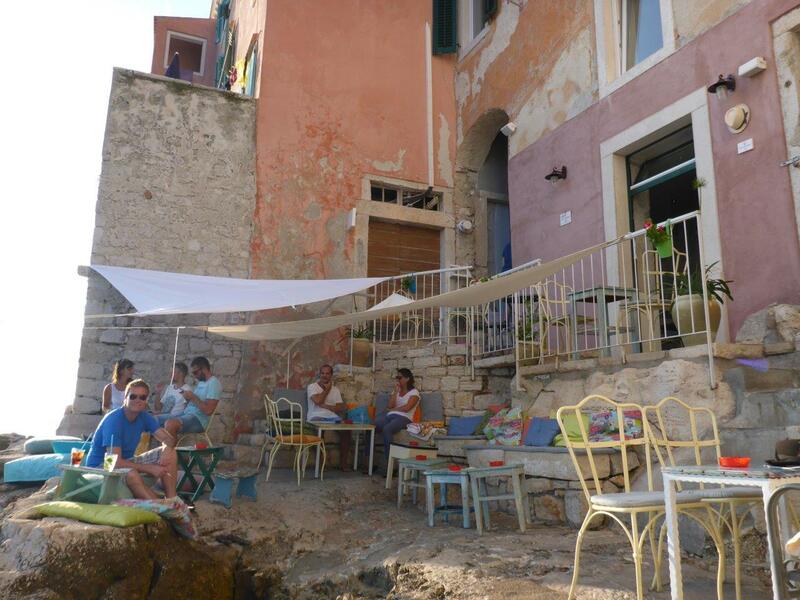 Trevisol is another one of the charming bars making the most of the location by the stairs. This alley leading downwards is broader, leaving space for more shabby chic tables and chairs. And a mix of colorful and oriental pillows, also used to sit on. The calm music sets the perfect mood for the warm summer night. 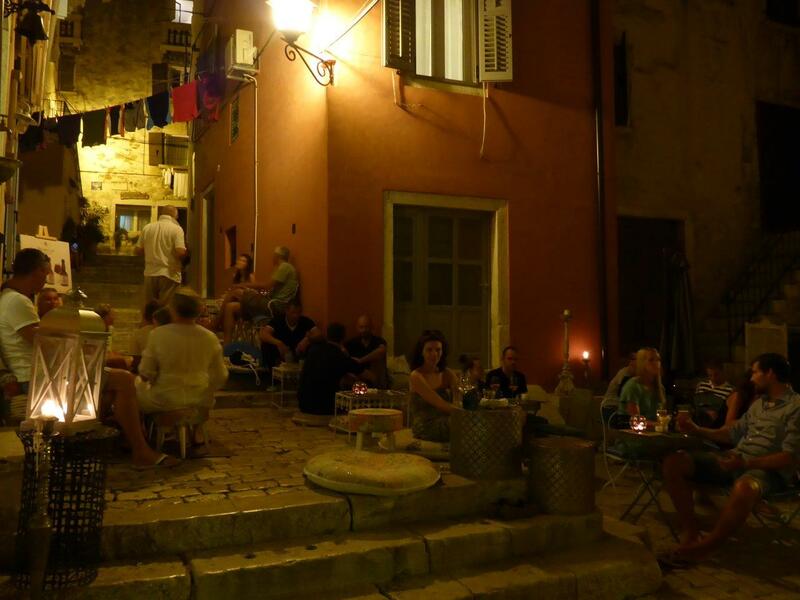 Nice atmosphere at Trevisol bar. If you for some reason would like to sit inside instead, you would have a giant chandelier decorated with flowers above your head. All the wooden tables are painted in light pastel blue and strong-colored pillows supporting your back against the stonewalls. The everyday life is passing by. It is fascinating what you can learn just by sitting here paying just a little attention. A group of men sat down by the table beside me. Not long after, a mature woman passed, greeting them quickly before entering the house across the street. Shortly after, a younger woman arrived from the same direction. She greeted them as well, at the same time the first woman came out of the house again. Without a word, the younger handed over her handbag, before the both continued to walk together the same way. My conclusion; mother and daughter, running the family restaurant the men just had dinner. Then, some minutes after, a man passes, putting a key in the door and locking it, before he followed the same direction as the women. The family was complete. At least that is the story I made up for them. I am pretty sure I am right. There is something special about walking through old towns after the sun sets. The mood and atmosphere changes. Everything seems calmer. The softness of the orange streetlights paint the stonewalls. Walking along the old smooth cobble stones, wondering what hides behind the next corner. 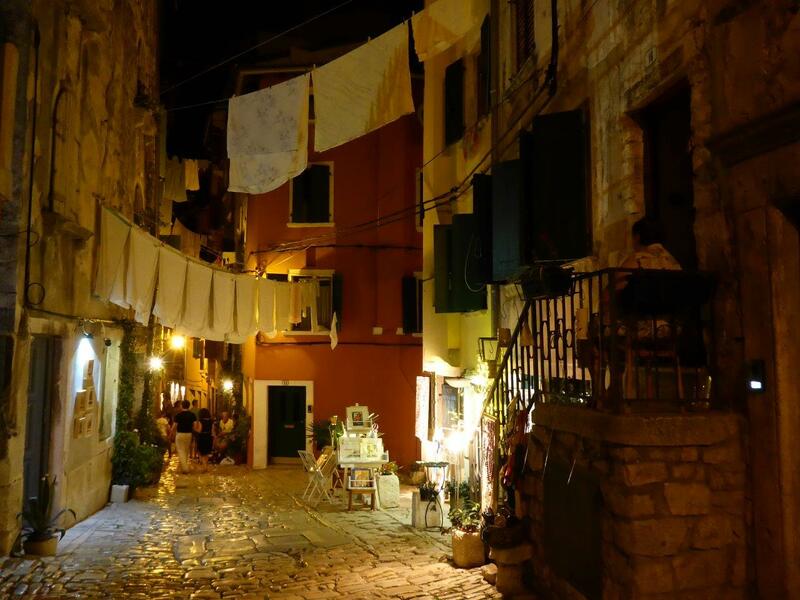 The laundry, trousers, shirts and underwear, hanging on strings between the houses. No secrets. Locals hanging out in the old town. Some are drinking. Others in either calm or intense conversations, sometimes bursting out in laughter. An elderly woman is sitting in a chair at the top of the stairs leading to her entrance door. She is sitting there alone, watching life pass by. Maybe she is a widow, thinking about the life she had. Or, maybe she has a bunch of grandchildren visiting, and needed a little break from it all. Either way, she looked peaceful. 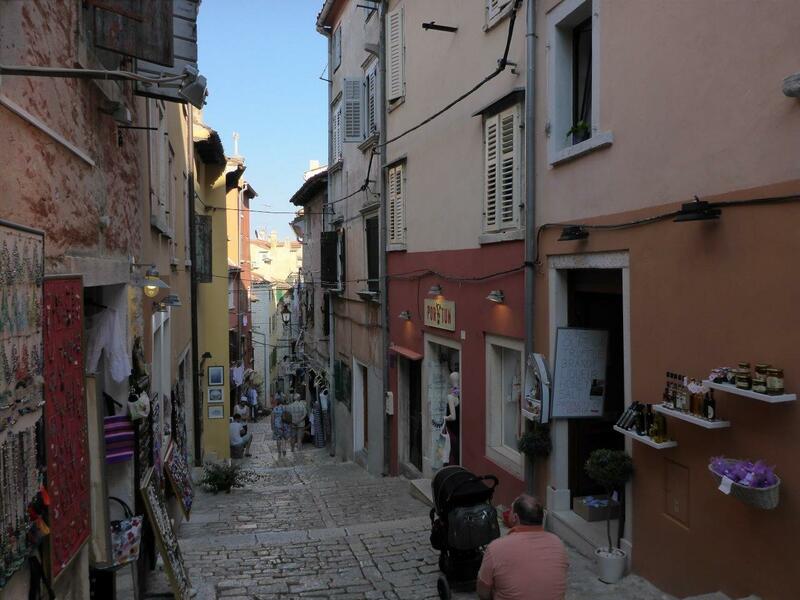 An elderly woman watching over her street in the old town of Rovinj. Accommodation: We could not have chosen a better location. 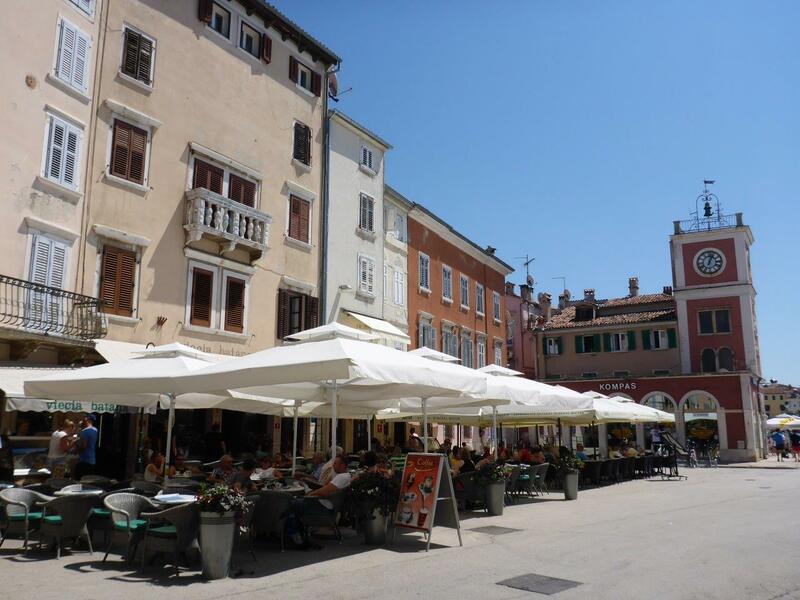 Just a few minutes’ walk from the bus stop and the boat pier, as well as the old town, Koberac Guesthouse was the perfect choice. Not the most fancy place, but worked for us. 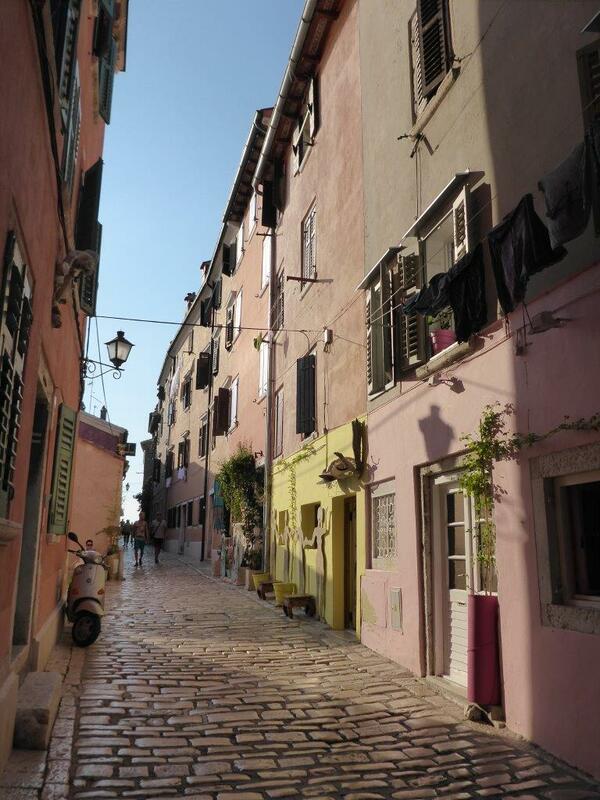 The yellow was our house in Rovinj. 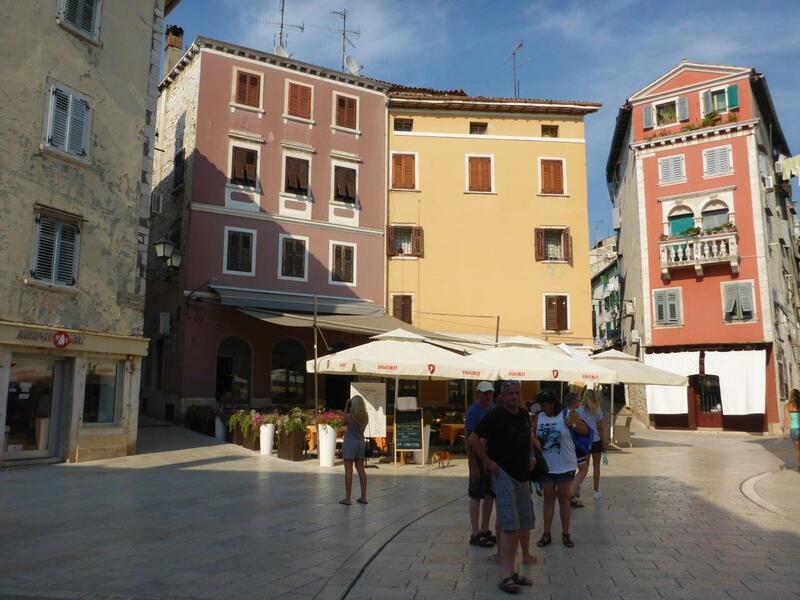 Transport: Arriving from Pula, buses run quite frequent. A few of the departures have online tickets at www.buscroatia.com. Either way this web site show your options. Our bus was not available online, and we paid 43 Kuna per person. 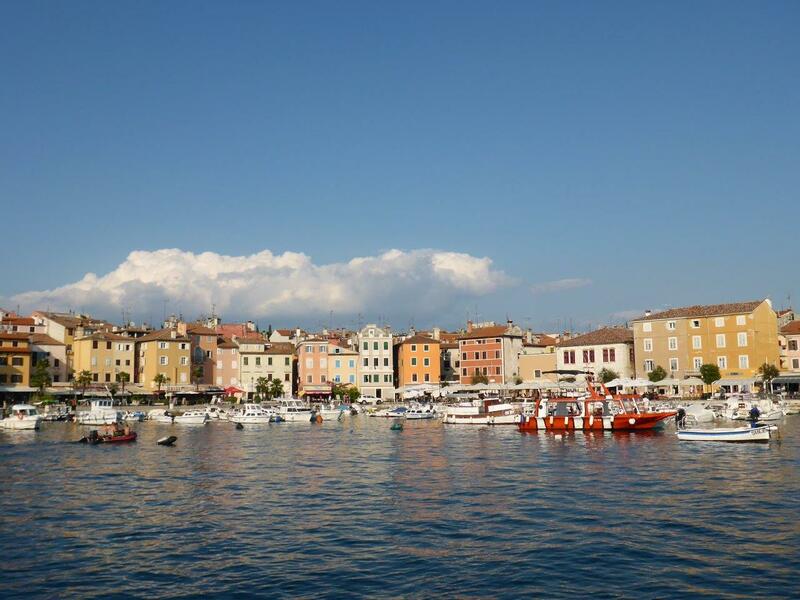 Departing from Rovinj to Piran, we decided to take Trieste Lines. It is a little bit more expensive than the bus, but we found it to be the most comfortable alternative.